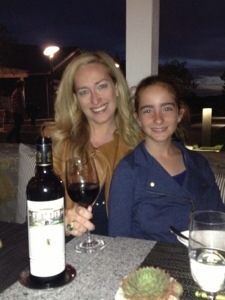 Celebrating Christina’s birthday at the Farm restaurant in Napa with my girls and a bottle of ’03 Leoville Barton. A good night! Sophia – ready to hone her cooking skills in Italy! It’s been interesting to try and book the trip – I may get a little ahem, feedback, here, but our experience has been that for all the need for jobs and tourism in Italy, people are VERY slow to return emails and requests for reservations – if they respond at all. We are finally in the home stretch of our planning, and we want to thank one of our blog friends who steered us away from staying in an area that would have required quite a lot of driving for the types of wineries we want to visit. This blog certainly has its benefits! I suppose this is also as good a time as any to announce that we are about to make a big move – to California. Christina has accepted an amazing job at Yahoo, so we’re moving to Silicon Valley from Seattle this summer for at least a few years. We’re excited for the adventure, and I guess it means we’ll be reviewing more California wines in the future! We are looking forward to all of our big adventures and sharing them with you! We had a very nice evening with two couples over a salmon dinner a few weeks back. It was a great time to share some nice wines and catch up from what had turned into a busy summer. 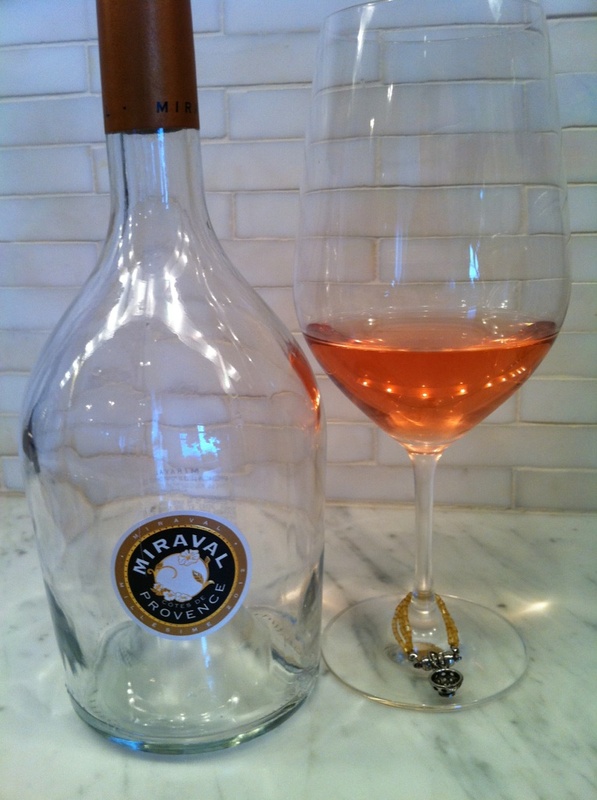 We started the evening with two refreshing summer wines, a 2012 Round Pond Sauvignon Blanc from Napa Valley and a 2012 Miraval Rose from Provence, France. The Sauvignon Blanc was a nice light and crisp wine with decent fruit (86pts.). Now on to the reds. 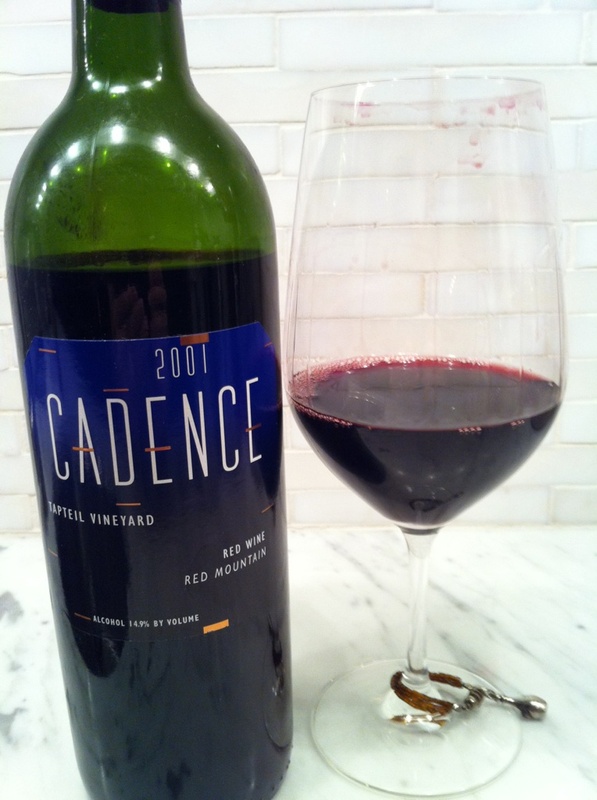 Our friends Jeanne & Will brought a nice aged bottle of 2003 Woodward Canyon Merlot. The wine had some great mature fruit and was drinking very well, with a lot of secondary nuances(spices) coming through on the long smooth finish (94pts.). 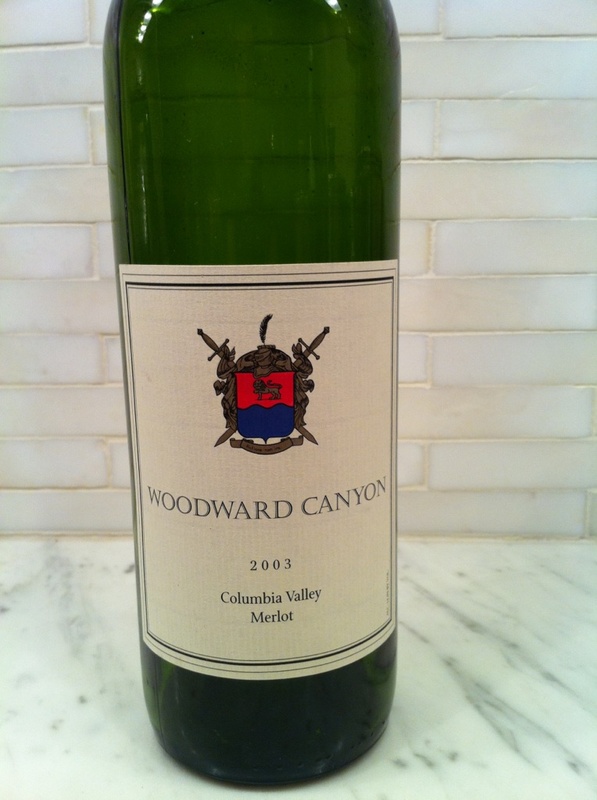 Woodward Canyon’s wines will age very well over a decade or even two for the cabs. Next up from Brian and Laurie, was the first release of the 2010 Hand of God red wine from Mendoza, Argentina. This wine was a blend of 55% Malbec, 35% Syrah and 10% Petit Verdot. The winemaker is Santiago Achaval, who also produces the wines for the award winning Achaval Ferrer winery in Mendoza, Argentina. The 2010 Hand of God is a nice wine with good dark red fruit, good structure and a medium-long finish (92pts.). 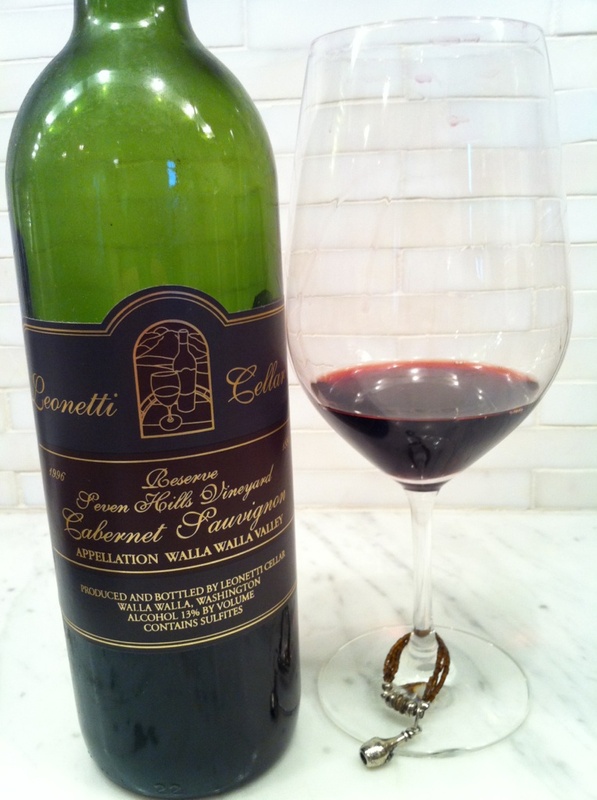 Next, I pulled a bottle of 1996 Leonetti Cellar Reserve Seven Hills Cabernet, from Walla Walla, Washington. I have not had this particular wine in a long time, but I bought this wine on release and this was my last bottle of it. The wine was a very dark red color and surprisingly youthful. The fruit was really singing, but it also still had some decent structure and good acidity. The fruit with a little bit of spice and chocolate followed through to a nice long finish. Blind, I would have never guessed the wine was 17 years old, it tasted more like 5-7. This wine could have aged another decade or more without trying and possibly still improve. But what the heck? Why wait? It’s drinking beautifully now (95pts.). We are grateful to our friends for sharing our love of wine – and sharing their great wines with us! When my 40th rolled around, we thought Napa sounded like fun, and mentioned it to a few friends. 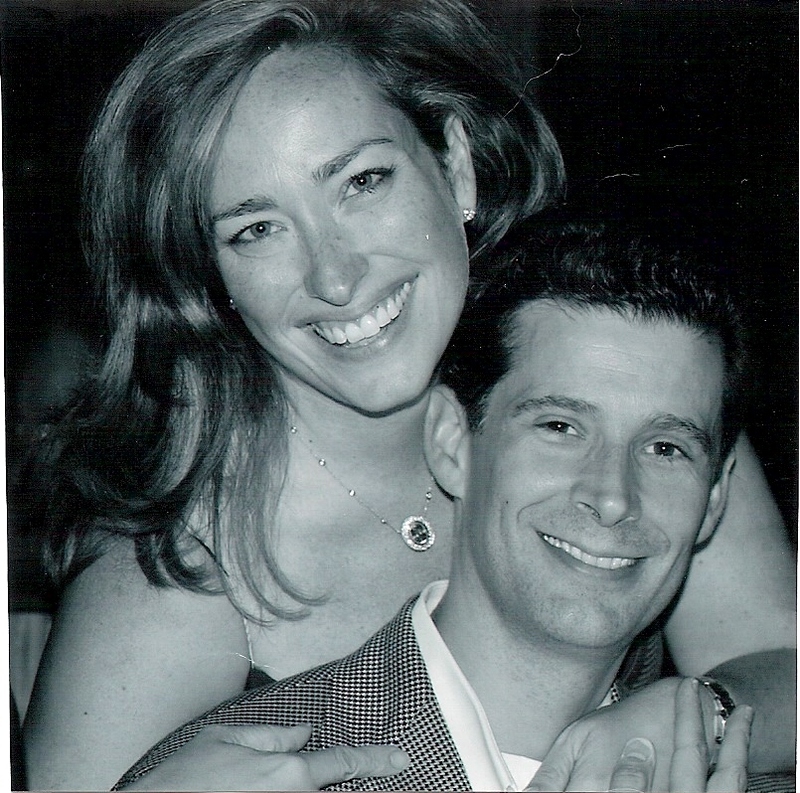 In the blink of an eye, we had a tripped planned (well, it seemed that way to me – maybe not so much to my wife!). Fourteen friends made the treck and made my 40th quite memorable. Me and wife Christina at Etoile. 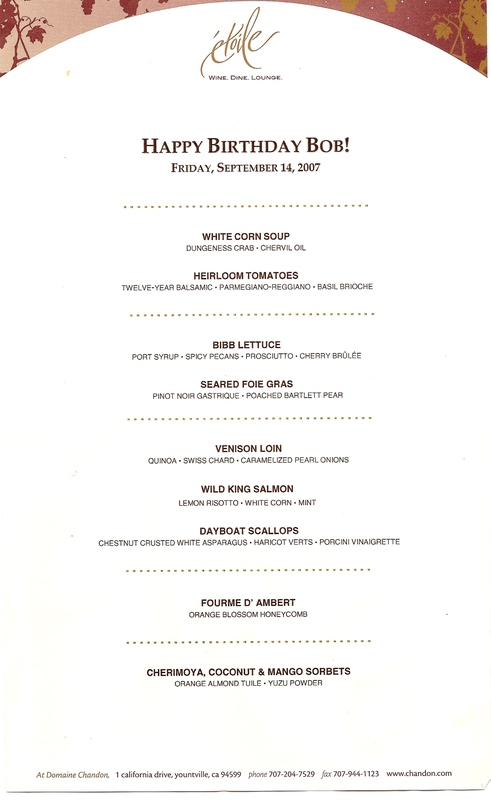 We began the evening with three different champagnes, and then we paired dinner with a magnum of 1990 Chateau La Louviere, a magnum of 1998 Sorella, a magnum of 1998 L’Ecole 41 (Seven Hills Cabernet), and a magnum of 2003 Pichon Baron. With the Foie Gras course we enjoyed a 1989 Rieussec. For dessert – a 1977 Porto Rocha Port. Somewhere along the way to dinner, two of our friends, Laurie and Heidi, decided that drastic measures must be taken in order to “preserve our palates” (prevent massive hangovers) for wine tasting the next day. The two enterprising ladies purchased a kitchen timer in the shape of a ladybug, which they set to go off at intervals during the evening. Every time the ladybug rang, everyone reached for their water glasses. Hilarity ensued, along with a good bit of hydration. In so many ways it was an unforgettable evening – and we all managed to survive the evening – thanks in no small part to Heidi and Laurie and their ladybugs!